Headaches are one of the most common complaints patients seek medical care for. If you are someone who suffers from frequent headaches you know how frustrating it can be. Patients often try medication, dietary changes, and other medical interventions to try and relieve symptoms. Headaches can be caused by a variety of different factors, and what you may not know is that physical therapists can treat certain types of headaches without the use of pharmaceuticals. A tension headache is often describe as a mild to moderate pain in a patients head that often feels like a vice constricting around a patients head. Tenderness or pain can be felt along the base of the skull, along the forehead and across the shoulders or shoulder blades. A less common type of headache that is typically felt on one side of your head. Pain is intensified with neck movements because of an underlying mobility deficit. 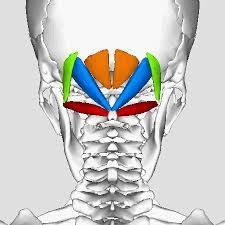 Patients may also have tenderness in their upper cervical spine and decreased range of motion. With this type of headache, trigger points are also commonly found muscles around the shoulder and neck of the painful side. Migraines can be a debilitating headache, often associated with a throbbing pain, nausea, vomiting, and sensitivity to light and sound. Sometimes a patient reports seeing an aura, speckles or tingling in your arm or leg prior to the onset of a migraine. Physical therapists can help treat headaches when the problem stems from a muscle imbalance or mobility deficit. Often times, posture can play a large role in creating these muscle imbalances. Small things like proper workplace and computer set up paired with a good postural strengthening program can help correct poor posture, which can dramatically decrease the frequency of headaches. Occasionally, patients require hands on manual therapy to improve symptoms and restore normal mobility. Soft tissue treatments targeted at the small muscles that attach to the base of the skull, and around the neck and shoulders can often relieve symptoms, and help form a good starting point for postural strengthening exercises. These techniques work particularly well with tension headaches. Gentle cervical spine mobilizations can also play a large role in improving symptoms by increasing mobility, which research has shown to be particularly effective for cervicogenic headaches. When it comes to migraine headaches, there can be a variety of factors that cause them. So if you have tried other treatments without success, some of these manual therapy techniques may be an option to help relieve pain. Ultimately the best course of treatment a physical therapist can provide to help with headache related pain is a combination or patient education, postural training, and manual therapy. 1. Correct your computer or office set up so that your computer is at eye level and you are sitting upright in your chair, no slouching or rounded shoulders. 2. Complete a few reps of cervical retractions or shoulder blade squeezes to try and strengthen some of your key postural muscles. Not all types of headaches can be prevented or treated with strengthening and mobility exercises, but for certain types like tension headaches, cervicogenic headaches and even some migraine headaches, physical therapy treatments can provide an alternative route to traditional medications.